The Outdoor Media Association (OMA) is getting people to lift their heads from their screens and look at billboards. 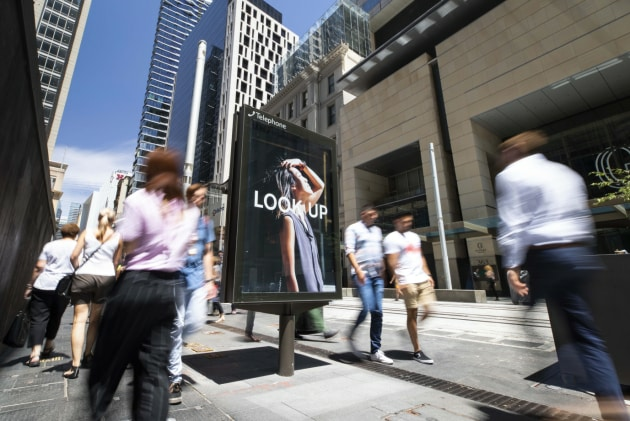 In collaboration with research studio Glider Global and neural and systems complexity specialist Dr Fiona Kerr, the 'Look Up' campaign shows the benefits of looking up and out. The national push includes a series of photographs across 7,000 out of home displays with the words 'Look Up'. OMA CEO Charmaine Moldrich said the industry united for its largest every campaign. “We believe the campaign is a timely and important message that the canvas of outdoor media can amplify,” Moldrich said. “Our signs exist where life happens – the places we live, work, socialise and spend our time, reaching over 90% of the population. Kerr wanted to use the campaign reconnect people to their surroundings. “It seems counter-intuitive to our modern culture that looking up and out and seemingly doing nothing could be the most beneficial state for optimising our thinking, but in fact, this is our natural way of being or ‘default’ mode if we’re not distracting our brains with technology or pushing it down the rabbit hole of trying to work on a specific task or problem,” Kerr said. The push comes following mega mergers in the OOH sector, with JCDecaux and Ooh!Media left as the major players.